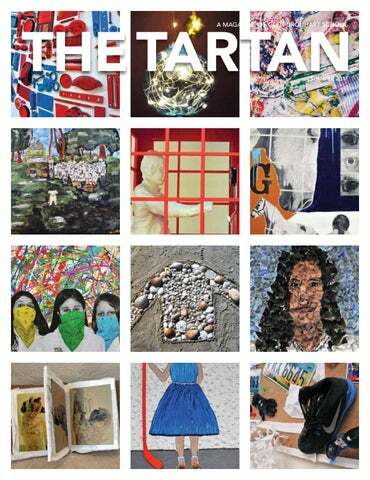 On the Cover: Eighth graders completed the traditional GUS White Shirt Projects this spring, creating works in the styles of a variety of different contemporary artists. They explored themes ranging from Civil Rights to their journey at GUS, where they have been and where they hope to go in the future. Family and friends viewed the work, along with originally choreographed dances by the students, at the annual Arts Block Evening. See more on the school website. HELP! If we have sent more than one copy of The Tartan to your address or an alumnus has a new address where we should send the next Tartan, please let us know so that we can update our records. Write to Director of Advancement Martha Delay at mdelay@gus.org or call her at 978-927-1064 ext. 117. Follow @gustartan on Instagram and Twitter and like us on Facebook! Off they 2009 Grads Deliver Commencement Addresses Nan MacMillan and Will Harpin, 2009 GUS grads, offered the commencement addresses this year, following a tradition begun in 1999. They both offered humorous and heartfelt anecdotes about their time at GUS, high school, and college, as well as some advice for how to navigate the roads ahead. To read their speeches, go to the school website. After graduating from Glen Urquhart, Nan attended The Thacher School in Ojai, CA, spending a semester studying abroad in Vietnam. She then went to the University of Virginia where she graduated in May, Phi Beta Kappa, with a double major in Music and Poetry Writing. At UVA, she was a member and Music Director of an all-female a cappella group, Hoos in Treble. She was an active member of the Charlottesville music scene, volunteering at a local radio station, interning with a recording studio and music management firm, and performing around the city. As a local poet, her work has been published by Heartwood Literary Magazine and the Virginia Literary Review. This August, she will head to Valencia, Spain, to complete a Master’s in Contemporary Performance and Production through Berklee College of Music. Will attended Glen Urquhart from Kindergarten through eighth grade. After GUS, he attended Phillips Academy Andover, where he supplemented his four years of German study with two summer study programs in Germany. While in high school, he also worked with local middle school boys through a Phillips Andover after-school mentor program. Will has just completed his fourth year of a dual-degree five-year program in Mechanical Engineering and Management for Engineers at Bucknell University. In engineering, he has focused on energy production, holding two internships in the energy sector. In management, he has focused on accounting and finance. Next fall, he will participate in a class that manages a $900,000 stock portfolio. Outside of classes, he is the treasurer of Bucknell’s American Society of Mechanical Engineers (ASME) chapter and an active member of the Chi Phi Fraternity. In his free time, Will works on his custom-built desktop computer, enjoys doing puzzles, and spends time with his dogs. Jesse Soursourian ’95 recently returned from Nagorno-Karabakh, an area between Armenia and Azerbaijan, where he interviewed and filmed women who are deactivating landmines that threaten the livelihood and wellbeing of their families and neighbors. This area, called Artsakh by the ethnic Armenians who live there, has been the site of contention and war for more than a century. After the fall of the Soviet Union, the conflict became even more heated with thousands of deaths of civilians. The war years have not only left the residents impoverished but also surrounded by land mines that make them afraid to tend their farms or let their children play outside. An NGO called HALO Trust, which operates around the world training people to deactivate land mines, has established a program in Nagorno-Karabakh. While men are usually HALO’s workers, teams of women have begun doing the job in NK. With such high unemployment in Artsakh, HALO offers these women a very welcome opportunity to make a decent salary. Jesse found out about the women after seeing photographs taken by renowned photojournalist Scout Tufankjian when she went to Karabakh in 2016. He contacted the NGO and they put him in touch with people on the ground. Before he went to Nagorno-Karabakh, Jesse thought he and his collaborators would be telling a story about how women in this society were ostracized for doing “a man’s job.” What they found was something more complicated and, ultimately, disturbing. Jesse with Varditer, one of the deminers, directing partner Emily Mkrtichian, and director of photography Alex Igidbashian. Above: A group of newly trained deminers ‘opening’ a new field. Below: Nara, a deminer, at her home in Lachin, being interviewed by Emily. Deminers Naz, Inga and Lilit, on a mountainside in Lachin, on a much deserved break. University this time—to earn an MFA in Film with a concentration in Screenwriting. Now he writes both fiction and nonfiction stories he hopes will capture the interests of wide audiences. His teleplay won Honors in the Columbia University Film Festival in 2016. A short he co-wrote, Hugh the Hunter, was screened at Sundance in 2015; and They Were Afraid of Us, his short documentary about an Egyptian emigre to New York, was screened at the Adirondack Film Festival, the Lighthouse Film Festival, and the Social Machinery Film Festival in Italy. As for his style of teaching, Cori sees benefits in drawing on his creative writing background to incorporate storytelling into classroom learning. “People are wired to understand the world through stories,” he believes. “We are good at remembering things in the context of stories. When we come up with a story as a class, it gives students a chance to express themselves and it re-enforces all we are learning. It’s fun and provides lots of meaningful repetition.” Since all students, Cori believes, “meet with the most success when they are inspired by the environment, encouraged to seek answers and to make connections,” he tries to provide those conditions every day in his classroom. To Cori, the kind of rigor that involves analytical, investigative work to understand a concept “is what defines a model GUS student” and is far preferable to the kind of rigor defined merely by memorization or rote learning. Cori enthusiastically presided over his first GUS Chariot Races this spring. He also hopes to create some new traditions including a Convivium or literary party modeled after the symposia in the ancient world—complete with good food, poetry recitations, and togas. In the meantime, he has a celebration of his own to plan. In December, he will marry Holly Engvall, a Latin teacher at East Boston High School. They met at a Latin immersion camp, Conventiculum Bostoniense, run by UMass Boston. And, yes, their first conversations were in Latin, the language of love. Latin has been part of the core curriculum at Glen Urquhart for sixth, seventh, and eighth graders since the school began. It has always been considered an important component of the integrated, spiral curriculum that defines the GUS experience. TADLER GRANTS ADVANCE FACULTY Thanks to the initiative, foresight, and generosity of former GUS trustee Richard Tadler and his wife, Donna, one or two GUS teachers are selected each year to participate in extraordinary professional development opportunities. We asked Richard about his vision and motivation for establishing the Tadler Grants. Why did you create the Tadler Grants? As a Board member at GUS, I was looking for a different way to support the faculty. Faculty are, of course, the key to success at GUS. What are your goals for the grants? Our goal is to see excellent teachers get a chance to do something different from their everyday lives. Each recipient chooses an activity they are passionate about and they return to GUS to add their experience to the overall school experience. Our goal was to simply try this for a few years and see how it developed. Clearly, the faculty have liked the program and we have seen the value in continuing to support the faculty’s professional development. Our hope is others will see projects or ideas that they would like to fund. What are some examples of how the Tadler Grants have benefited GUS faculty, and thus, students, so far? Recipients have attended educational conferences, travelled to foreign lands, and built relationships with other schools. Math teacher Maureen Twombly, for example, attended a conference entitled Mathematical Mindsets led by Jo Boaler, a professor at Standford University. Co-kindergarten teachers Sandy Thoms and Amy Billings traveled to Nevis in the West Indies where they ran a summer arts camp and attended a cultural festival, Culturama. The following year, Sandy returned with retired art teacher, Catherine Cobb, and they created the Nevis Arts Initiative, holding art classes for students and teachers in the public schools. The Tadlers are parents of GUS grads Devon and Conor. Devon ’05 graduated from Pingree School and Elon University and now works for the Wayfair Corporation in Boston. Conor ’09 graduated from Pingree School and the University of Denver and just began working for Baccarat Hotel in New York City. taken that opportunity seriously—that element of valuing kids and the relationship you build with parents. You have to take the time for people, to listen to them, to hear their point of view. It’s all about how you treat each other. I have enjoyed coming to work at GUS every day. I think families have felt that.” What would you like students to say about you? “That I am the person who opens the door for people. When seventh graders were studying the human body a few years ago and how cell membranes allow things to enter and exit the body, one of the students said, ‘It’s like Mrs. Marchesseault. She’s the cell membrane of the school.’ I got a kick out of that.” What are your plans? “I’d like to work part-time. I plan to spend more time with my four grandchildren and my mother who recently moved to MA. I hope to have more time to travel with my husband and for us to spend more time together. I’d also like to volunteer.” Leslie Marchesseault and her husband, Guy, are parents of GUS grads Kyle ’91 and Andrew ’97. Kyle, is a graduate of Brooks School and Dartmouth College, and holds an MBA from Babson College. He is the Senior Director of Marketing for Blueport Commerce in Boston’s South End, an ecommerce platform for furniture retailer websites. Kyle is married to Marisa and they are the parents of a daughter, Ellie, and a son, Tyler. Andrew is a video archivist for the Voice of America in Washington, D.C., the largest U.S. international broadcaster. A graduate of Phillips Andover and the University of Chicago, he has an MA from Pratt University. Andrew and his wife, Analiese, are the parents of two sons, Johann and Lawrence. to do. There are plenty of alumni who are not artists, writers, or musicians. GUS gives you the basic skills of self confidence, knowing yourself, being very good at moving through different groups of people. I wasn’t interested in finance until after law school. I could go to music school or do hedge funds and feel comfortable in both. I also think that the faculty/student situation/relationship means that you are very comfortable with adults. Not the ratio, but the relationship. Not that you don’t think they are authoritative, but the dialogue is different. It extends to college and the mentoring relationships you develop.” Louis, his wife Ann, and son Leo live in Hamilton where Ann maintains a home office for her product development job with a perfume company in New York. Ann lived in New York for more than 15 years so the North Shore is “a new scene for her,” Louis explains. In his spare time, Louis likes to sail or motor boat, often in Maine, teach his son to ski in winter, get together with friends, and work on fixing up their “big old colonial house.” Louis sees his GUS friends often, especially Joshua Taylor, Jake Bartlett, Hunter Jay, and Martha Almy. “It’s not unusual at a summer barbecue to have 10 people from GUS there,” he says. Glen Urquhart School 17th Annual Wild Boar Classic Golf Tournament Wednesday, October 11, 2017 12 p.m. Shotgun Start Essex County Club Manchester, MA For more information or to register, go to gus.org or contact Annie Barton at abarton@gus.org. 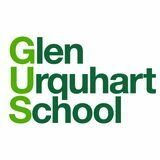 The Wild Boar Classic Golf Tournament supports financial aid, faculty professional development, and other important program initiatives at Glen Urquhart School. THANK YOU to our alumni, parents, and friends for a great year! Gather under the tent for 21+ Alumni Evening Reunion. Savor locally made food and libations with old friends and teachers. SATURDAY, JUNE 9, 2018 Remember May Day? Huzza? Chariot Races? We are rolling them into one for our 40th anniversary GUS Community Picnic/Barbecue. Join GUS alumni, past and current families, faculty, and trustees for an afternoon of fun.